These new sights from BUSHMAN have illuminated crosshairs, not only are they illuminated but there is also an inbuilt colour choice, red or green plus an adjustable power setting. 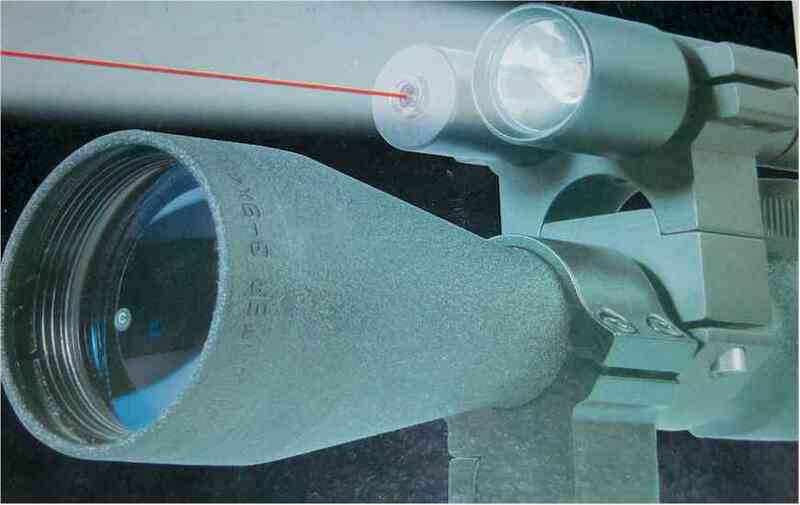 These sights also feature a variable zoom (3-9 only) and adjustable cross hairs. Red dot sights are very useful in that they enable you to shoot with either both eyes open or just one, the head position is not so important and there is less eye strain. You should also find that your accuracy will improve. Standard 1x30 red dot sight, powered by an integral CR2032 lithium battery. The red dot is adjustable in two axis and also has a variable intensity with 7 power settings, coated optics. Supplied with mounts, allen key, lens caps, smoked filter and sun shield. hold up day after day He also wants a bright scope that has all the necessary features, but doesn't want to pay over-the-odds for it. Introducing the DEERHUNTER. Bright, accurate, tough and priced right. NOTE: Please remember to add scope mounts to your order, they are NOT included with each BSA rifle scope. NEW in Gamo Vampir combined lamp and infra red laser available either with a 4x32 scope or as a kit to fit any size scope up to 50mm. 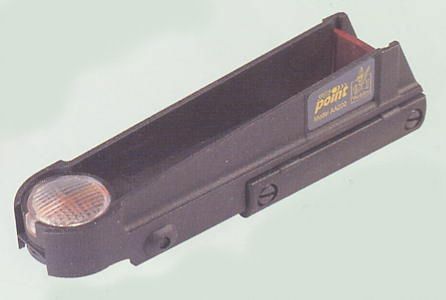 Consists of a powerful narrow beam of light and a laser beam, ideal for ratting! The CONTENDER's clean design and thoughtful innovations make it a tremendous buy for the experienced shooter, as well as the novice who wants to get into target shooting or long range hunting. The combination of its many shooting features alone make it a best seller, not counting its clean appearance and the sharpness of its lenses. No one else offers a target/hunting scope of this quality with as many nice touches for the money as BSA. The CONTENDER has finger adjustable windage and elevation knobs. Most scopes have 1/4 MOA click adjustments, but the CONTENDER has 1/8 MOA click adjustments to provide the most precise adjustment possible. The caps can be removed so that the turret knobs can be re-set to zero. A new manufacturer with excellent quality rifle sights. Note: the 4x20 sight includes mounts. Again 1x30 red dot sight, powered by an integral CR2032 lithium battery. The red dot is adjustable in two axis and also has a variable intensity with 11 power settings, coated optics. Supplied with mount. The optics on this unit are quite superlative, and one nice feature is the spring loaded flip up lens caps. Manufactured in the same group of factories that produces the superb visual aids and sights used by the Chinese army each sight in this range represents quite remarkable value for money Fitted with lenses ground to the highest possible specification these siqhts have light gathering properties which are the envy of manufacturers throughout the world. 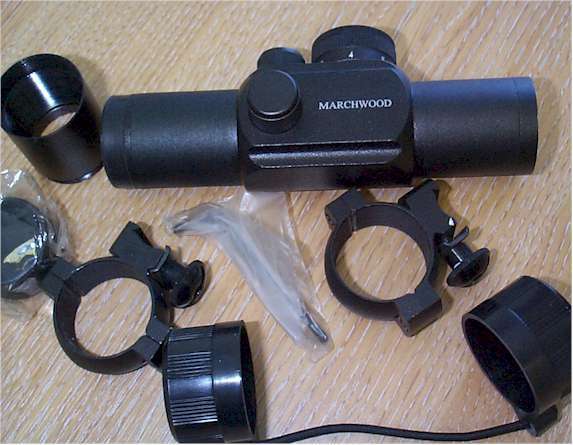 New range of superb monocoque construction one piece scopes finished in matt black. Finger 'click' adjusters, complete with a superb set of lens covers. Superb fully coated violet tinted lenses grve absolute clarity right to the edge of the sight picture. Absolutely unbelievable value! 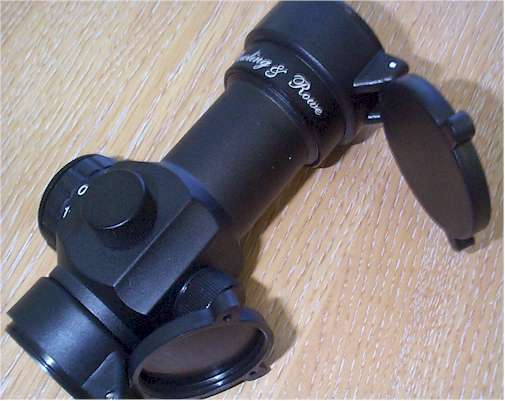 AFFORDABLE PRICES - Teriy Doe testing the 6x42 In Airgun Wbrld -	Massive 8x magnification and 56mm end lens for phenomenal light gathering. Read what John Marriot saId about the SMK 8x56 Scope when testing In Airgunner Magazine: "Quality is written all over this Scope, and for Its price, the optical performance Is astounding. The amazlngly clear sIght pIcture Is complemented by duplex-style thIck-to-thin crosshalr - and ft Is thick enough to see, whatever the prevailIng light condition. The best vaIue-for-money Scope In the worid today. Get one! lengths and Nigh and Low. Intensities; Model RG - Froviding switchable red or green dot. Superb "Value for Money" Red Dot Sights to fit most rifles and pistols with scope grooves. 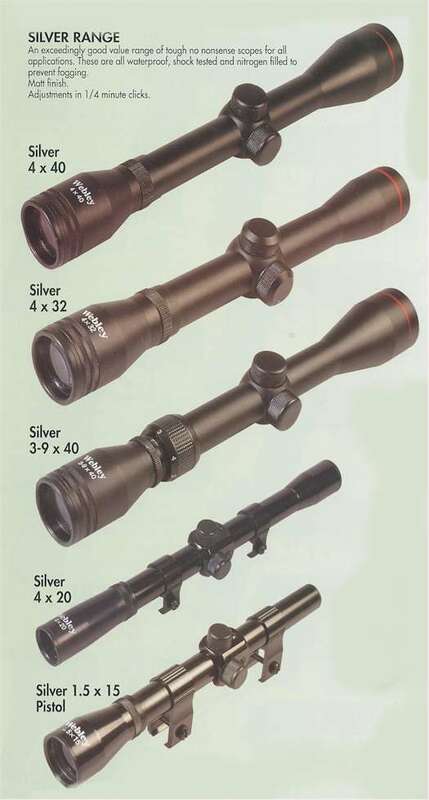 SILVER RANGE An exceedingly good valve range of tough, no nonsense scopes from Webley for all applications. These are all waterproof, shock tested and nitrogen filled to prevent fogging. Matt finish. Adjustments in 1/4min clicks. These models are machined from aircraft aluminium and incorporate integral reticule housing for maximum strength, water exclusion and shock resistance. The camera grade Japanese lenses give over 30% wider angle than standard lenses and the multi coatings provide brilliant image clarity even in low light. Matt finish. 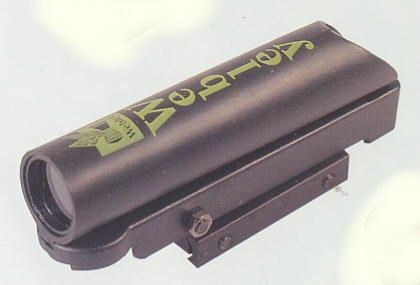 For all rimfire and centrefire rifles and especially suitable for high power air rifles. 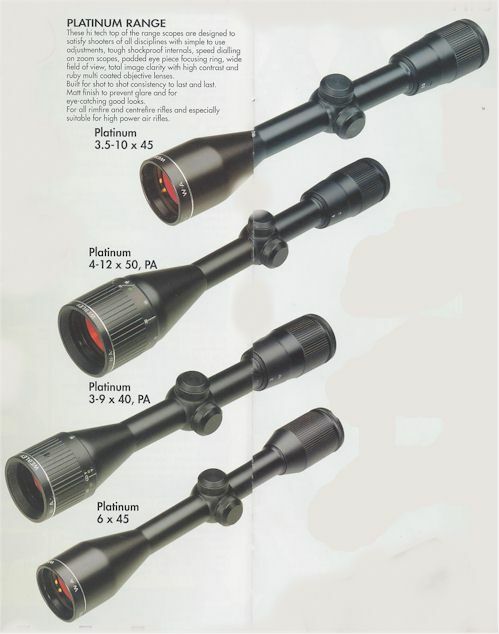 These hi tech top of the range scopes are designed to satisfy shooters of all disciplines with simple to use adjustments, tough shock proof internals, speed dialling on zoom scopes, padded eye piece focusing ring, wide field of view, total image clarity with high contrast and ruby multi coated objective lenses. Built for shot to shot consistency to last and last. Matt finish to prevent glare and for eye-catching good looks. For all rimfire and centrefire rifles and especially suitable for high power air rifles. Made entirely in Webleys Birmingham factory these brilliant new mounts are CNC machined to give you the very best precision fixings for your scopes 97 and at prices you can afford! All these mounts are for 194 scopes and 9.5-11.5mm grooves, and come in an attractive lack anodised finish. Our mounts are specially designed to cope with the deep saddles on our own and Nikko Stirling Platinum scopes plus all other proprietary brands of scopes. Very strong no creep properties. Webley HOTDOT red dot sight suitable for rifles or pistols, (ideal for CO2 handguns ) battery powered, fully adjustable. Webley SPEEDPOINT red dot sight (no battery required) For very fast target acquisition, fully adjustable for elevation and windage, light weight and does not creep. Use on rifles or pistols. Thousands sold throughout the world. 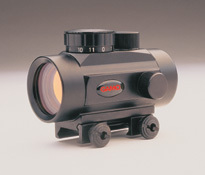 Intended for 1" scopes, the GAMO 1” are available in high height and standard height. The high mounts are designed for rifles that require greater receiver clearance. These rings attach to any standard base. 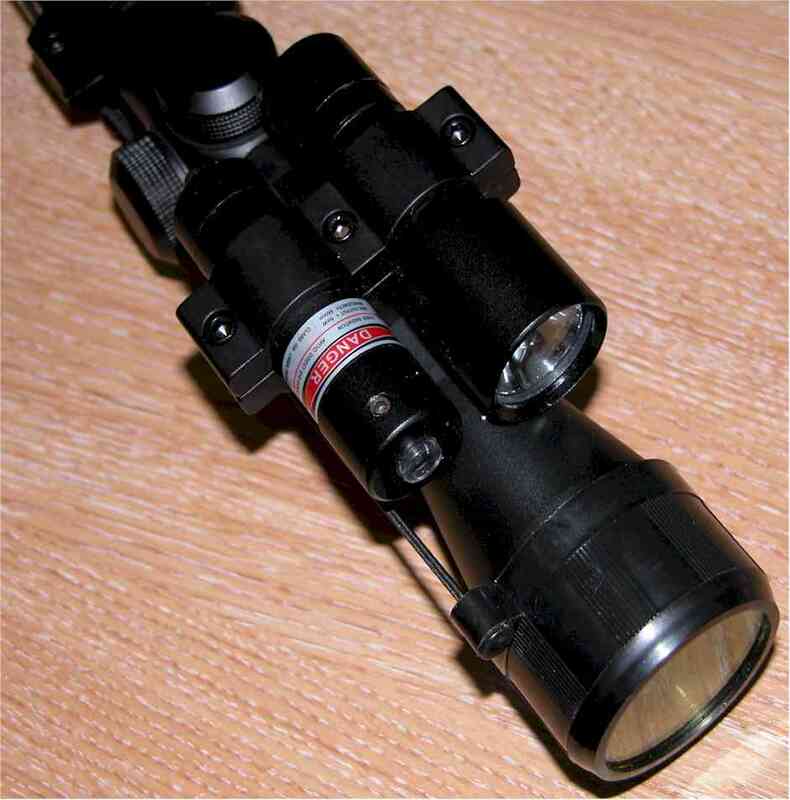 The opening below the scope also permits the use of the rifle´s regular sights. The standard-height rings are also intended for 1" scopes in situations that do not require additional receiver clearance. Mounting is similar to that of the 1" High Rings, with large locking nut with slots for coin or screwdriver use. 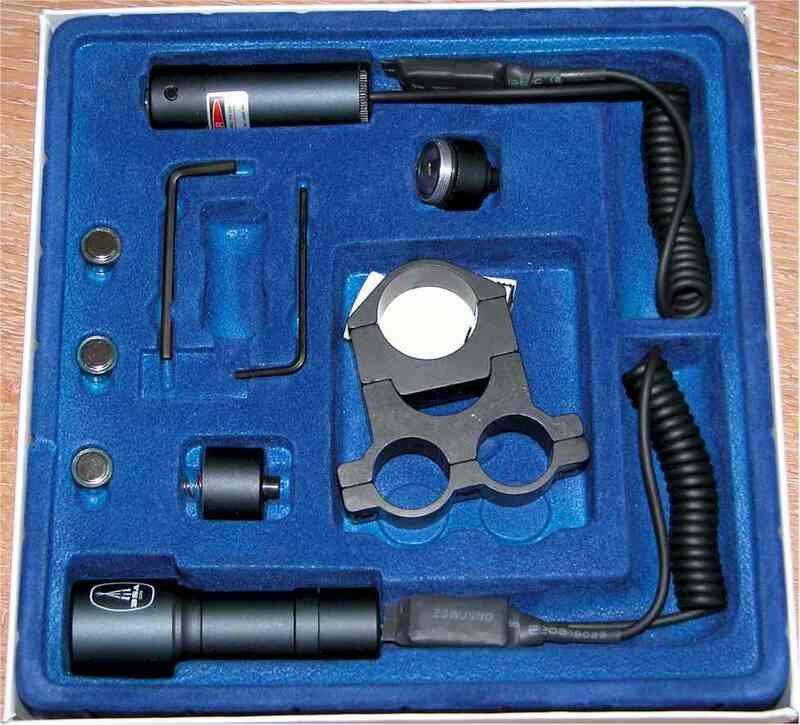 This quality scope offers you the features of more expensive scopes at an affordable price. As other GAMO scopes, this model is engineered and built for maximum accuracy and reliability in the real world. With the GAMO 3-9X32, you will enjoy a versatile range of magnification for a variety of shooting situations. It has multi-coated lenses for maximum durability and clarity in all field and weather conditions. · Shockproof, waterproof and fogproof. · Precision click windage and elevation adjustment controls. · Tube diameter: 25.4 mm (1”). · Exit Pupil: 10.7 mm (3x) – 3.6 mm (9x). · Relative brightness index: 114.5 (3x) - 13 (9x). · Depth of field (100m): 14 m (3x) – 4.4 m (9x). 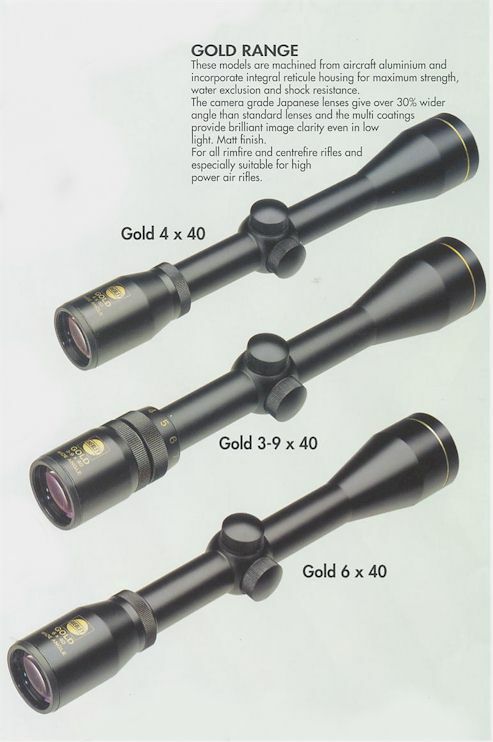 This is one of our most popular rifle scopes. The 4x32 has finger adjustable windage and elevation zeroing knobs, adjustable objective for pinpoint focusing, and the superb light gathering ability of a 32mm objective lens. 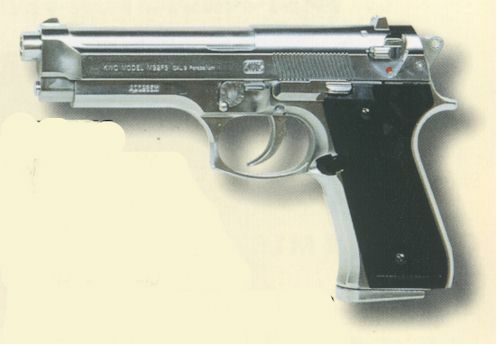 It is an outstanding performer on air guns as well as centerfire rifles. We should have named it our .22 Special. The 4x32 PA requires 1" ring mounts. This model has a great balance between performance and weight, at a reasonable price. It has four-power magnification to help you shooting keeping your rifle light and manageable. 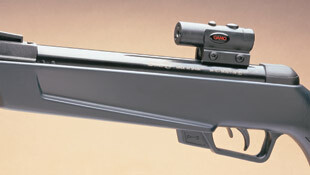 The GAMO 4x20 scope was created to give everyone access to a rugged, accurate, and reliable GAMO scope. 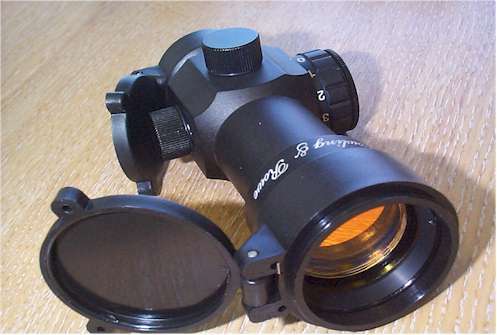 · Mounts are integrated in the scope. · Tube diameter: 19 mm (3/4”). You will be surprised at just how bright a GAMO 40 mm objective lens can make the field of view. The GAMO 4x40 offers a wide field of view for fast target acquisition and tracking of moving targets. It is easy to use and offers an extensive windage and elevation range adjustment, thanks to the easy-to-grip dials. 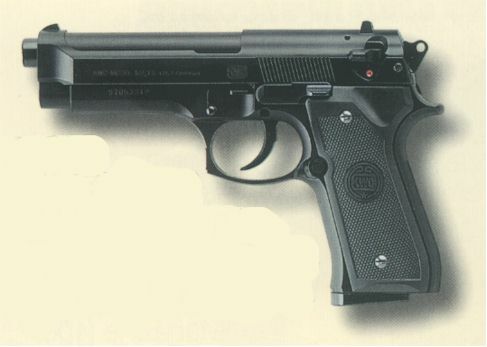 Of course, it also delivers the legendary GAMO ruggedness and durability. A 3-V lithium battery, which powers the red dot, is included. It has a two position on-off switch, windage and elevation adjustments, and is very compact, fully shockproof and resistant to different weather conditions, and only weighs 2 oz. If you have a Gamo´s P-23 CO2 pistol, you can also enjoy de Direct Point performance thanks to this mount. This precision molded Mount Base will allow you to fit the Direct Point sight to your Gamo P-23 air pistol in seconds... are you ready? This little sight is the scope of the future. It is extremely bright, compact, and accurate. Under certain conditions if you are shooting from moderate to close range, it is absolutely unbeatable. It projects a laser beam that looks like a small bright red dot right onto your target. You can even shoot from the hip. All you have to do is point the beam. 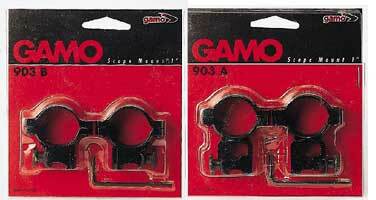 The GAMO Laser 99 comes with two different switches. One is located on top of the body and the other is a momentary pressure sensitive switch and wire that can be mounted on the gun wherever you want to put it. And it is not just for airguns. We have KITS that comes with the mounts specifically designed for the GAMO PT-80 gun and the GAMO P-23 gun. It is adjustable for windage and elevation. Comes with a set of mounting rails. This is a sensational sight for almost every type of shooting--especially "close in." It works well on air rifles, hand guns, even shotguns for hunting turkeys. When you turn the sight switch on, a bright red/orange dot appears on the center of your scope. That's your point of aim. It's just that simple and very accurate. The dot is powered by a 3V lithium battery mounted into the 11 position click rheostat which adjusts the brightness of the dot whenever necessary. The compact 30mm sight is also rugged. It is made of specially anodized aluminum, which makes it very light.